I know it's fun, but don't go on a pinning spree. If you pin everything in sight, you'll fill up your followers' feeds with your pins, which they won't appreciate. 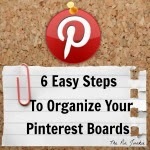 Pinterest will also block you if you pin too much at one time, so avoid over pinning. Don't pin every single pin on someone else's board. If you find yourself pinning a lot from someone, be nice and follow them. If you repin a lot of content from someone's board, even if you follow them, they may block you. Some people don't mind if you pin half their board because they are flattered. Others don't like this AT ALL. They feel they have put a lot of time and effort into creating and curating their board and don't want someone else taking their pins. 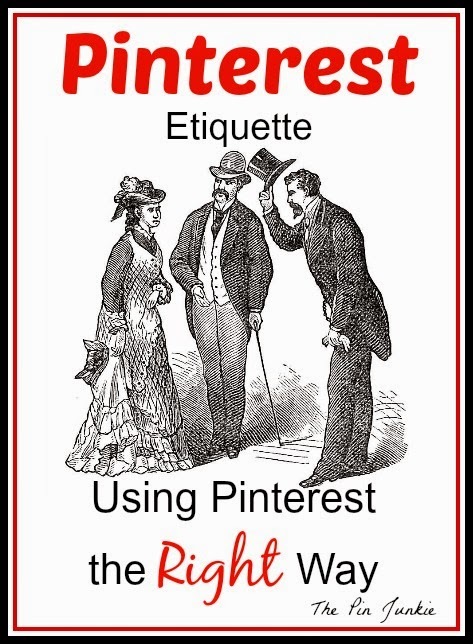 (To me "taking" pins doesn't really make sense because 80% of content on Pinterest are repins.) Don't be a copy-cat and pin original content when you can. Don't be stingy. 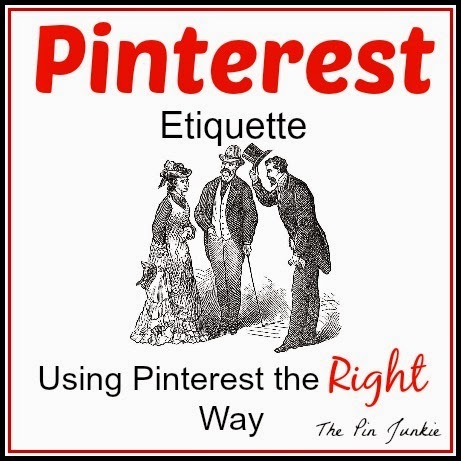 I think most pinners understand that Pinterest is a community that works best when people share. I also think some pinners can be a little over zealous with the blocking feature. There are times when you might need to block someone, but try to use this feature sparingly. If you make a comment on a pin, be respectful. If you can't say something nice, don't comment. Enough said. Often the rules for group boards will be posted at the top of the board. Follow the posted rules or you could be removed from the board. Board administrators may have limits to how many pins you can post per day. Be sure to follow those limits. If no limits are mentioned, limit yourself to 3-5 pins at a time. 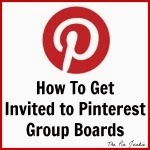 Don't over pin on group boards and don't pin content that doesn't relate to the theme of the group board. Make sure pins have links back to the original source. Don't pin from Google or other search engine results. Pin from the permalink and not from the main url homepage. That way when someone repins your pin, they can easily click through to the correct web page. My problem is when I pin a recipe and come back to it a day later, the comments made by someone else are now under my name and I know I didn't type them. How do I stop that from happening? I have searched a couple of sites and the information is mostly for individuals who actively pinning from the web or are creating a site. 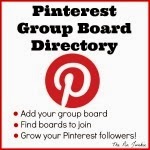 Just started pinning on Pinterest...how do you "follow" someone else's board?